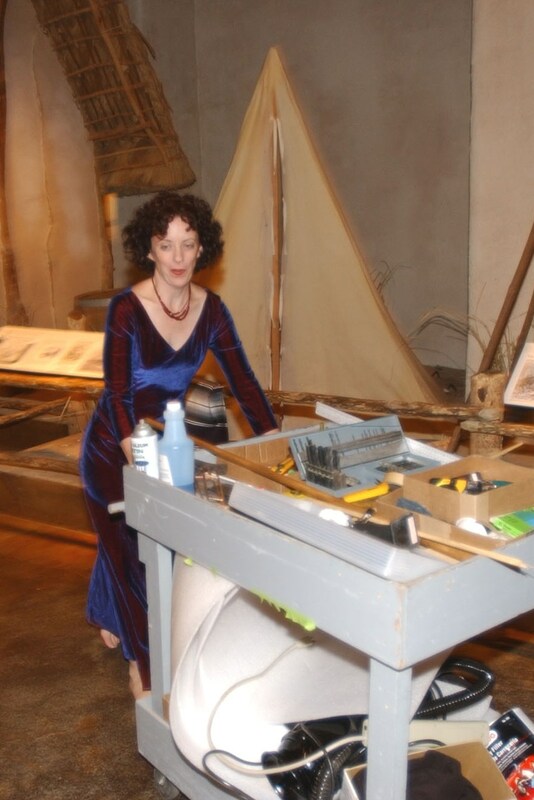 Working as a registrar might require unexpected skills: Like being all dressed up for the big opening and still be able to deliver a cart of desperately needed tools to the mount-maker. Thanks to Lisa Kay Adam for the picture. 1. I changed offices and decided t get rid of my very first safety boots. 2. My current summer safety boots died the usual unpleasant death that awaits all my safety boots. 3. I re-read the piece about shoes at conferences by Janice Klein. It inspired me to write a piece about a registrar’s working shoes. It’s the same problem like with shoes for conferences, only worse. As a registrar in a small museum you need to be one moment on the top of the ladder, exchanging the light bulb, at the next moment guiding a group of students and yet the next moment shake hands with the president of your university. As a registrar in a larger museum, you are not really better off: You have to walk miles in the gallery spaces, again climb ladders and if you enter visitor’s spaces you should look halfway presentable. 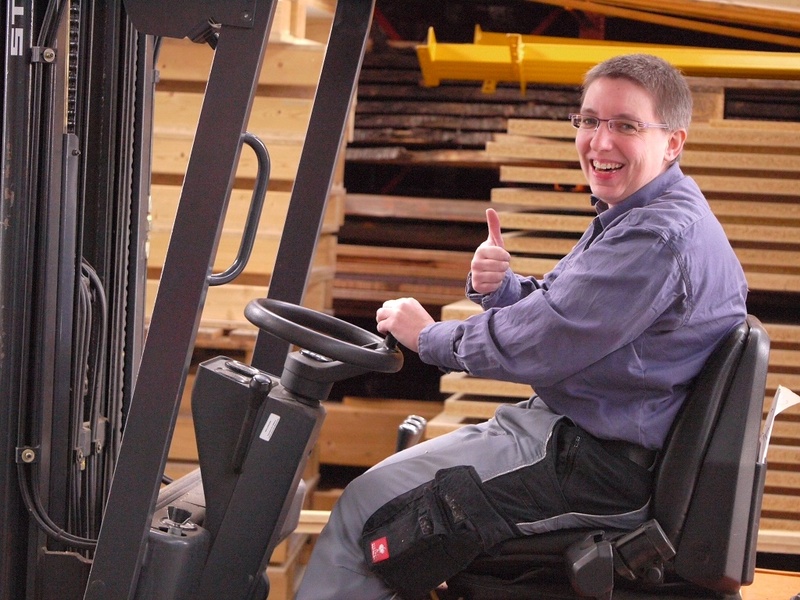 Each task requires different clothing and it is likely that you have several working outfits in your locker. Along with them there is an army of different working shoes, from rubber boots for the annual springtime water leak in the cellar to high-heels that fit your evening dress for events. A male registrar’s arsenal might be slightly smaller, but I don’t know a single registrar who can work with just one pair of shoes. There are some advantages of being a collections manager at a science and technology museum. Because I wear my safety boots almost every time at work they tend to die an unpleasant death within a timespan of about a year to a year and a half. This is a problem because a the same time it’s incredibly hard to find safety boots in size 37 (U.S. size 6 1/2). My very first safety boots – the ones I ditched and which are still under consideration to be accessioned for our collection of working clothes – were 36 (5 1/2) because I couldn’t find safety boots my size on the market. The first two years of my career I worked in boots that were too small. In fact, according to a friend, they were the “cutest little safety boots I ever saw”. So, everytime a pair of boots start to show signs of weakness, I search frantically for new ones my size. An exhausting race against time. Fortunately, this time I’m spared: my niece has exactly the same shoe size and gave me the safety boots she got for her summer job. As she graduated to become an elementary school teacher last year, she doesn’t need them anymore. Always keep your feet on the ground! 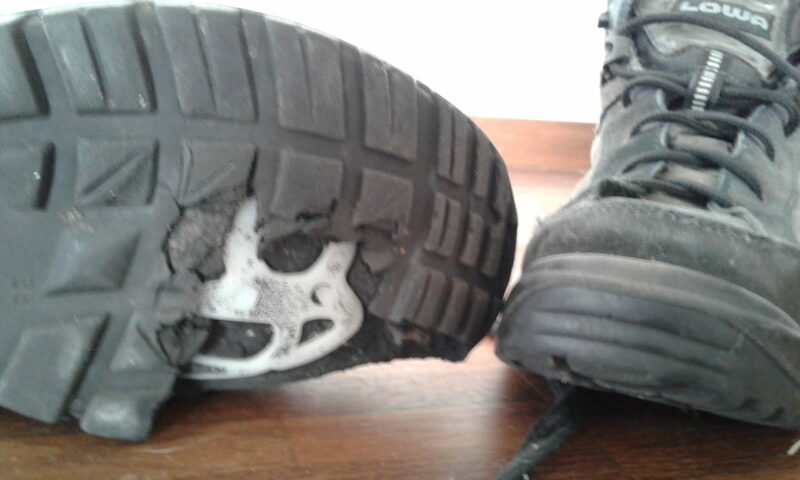 Light summer safety shoe, bought 2015. The seam that tied the leather to the sole snapped and the leather ripped. Probably due to the stress imposed on this part of the shoe by standing on my toes frequently. To make matters worse, I often need the fine feeling of my toes to give the forklift truck the exactly right dose of gas when handling a delicate load. 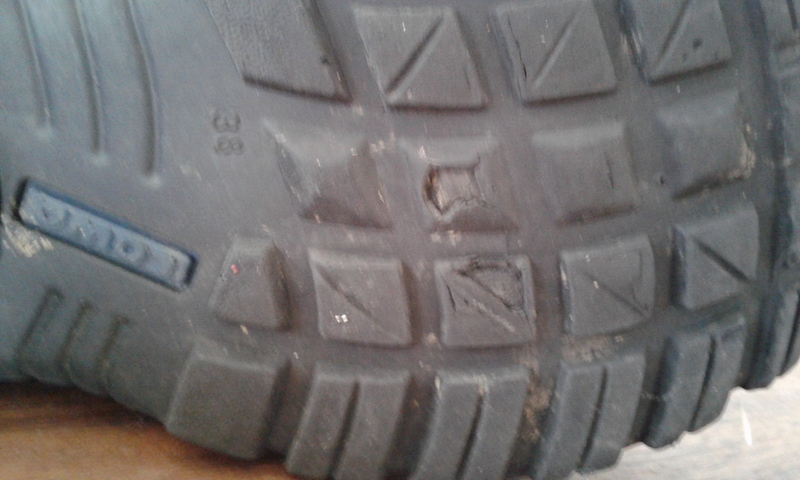 A former more sturdy all-year safety boot, I think it was the 2007/2008 one, died exactly the same way. 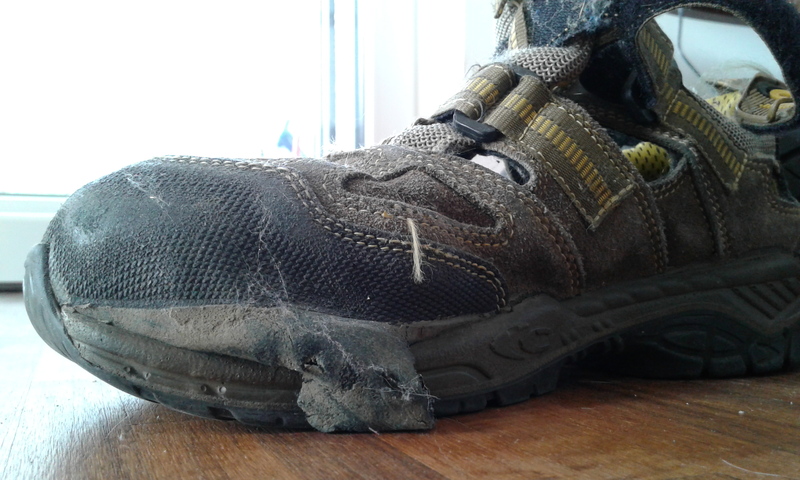 The most common way my safety boots die is however that the sole becomes so thin that they start to leak. You usually realize this when you are standing in a puddle of water. If it’s a dry season, you realize it when you suddenly feel every stone you walk over like you walk barefoot. This is the shoe that died the most spectacular way. These were pretty good light hiking shoes I loved to wear when there were no heavy duty jobs that require safety boots, only light work that requires a lot of walking. In the middle of an exhibit installation in 2011 parts of the sole literally fell off. Got boots that died a similar – or more spectacular -way? Share your photos and send them along with their story to story@museumsprojekte.de!